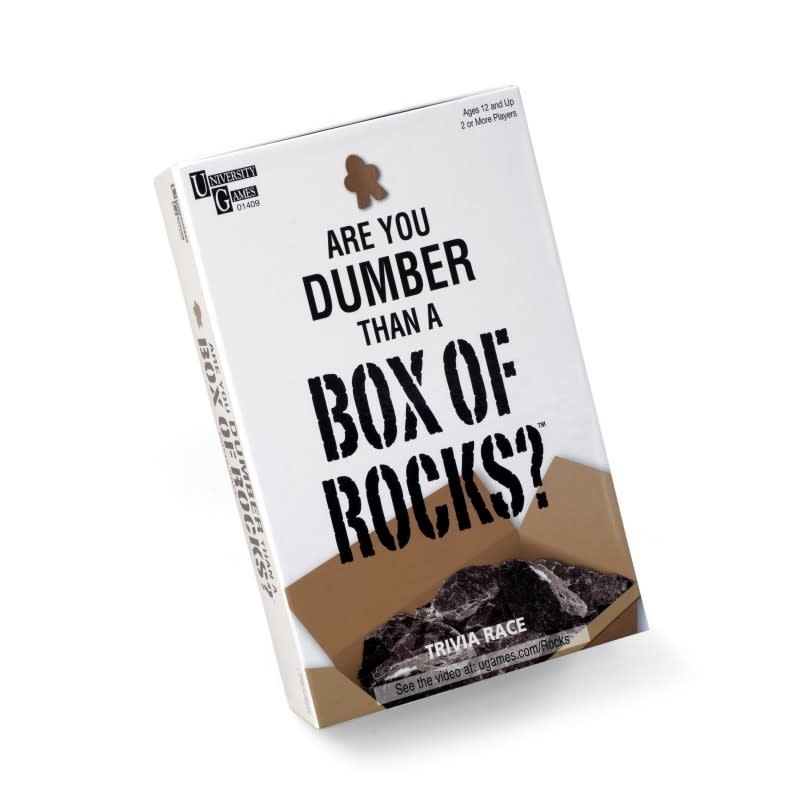 Home » Are You DUMBER Than a BOX of ROCKS? 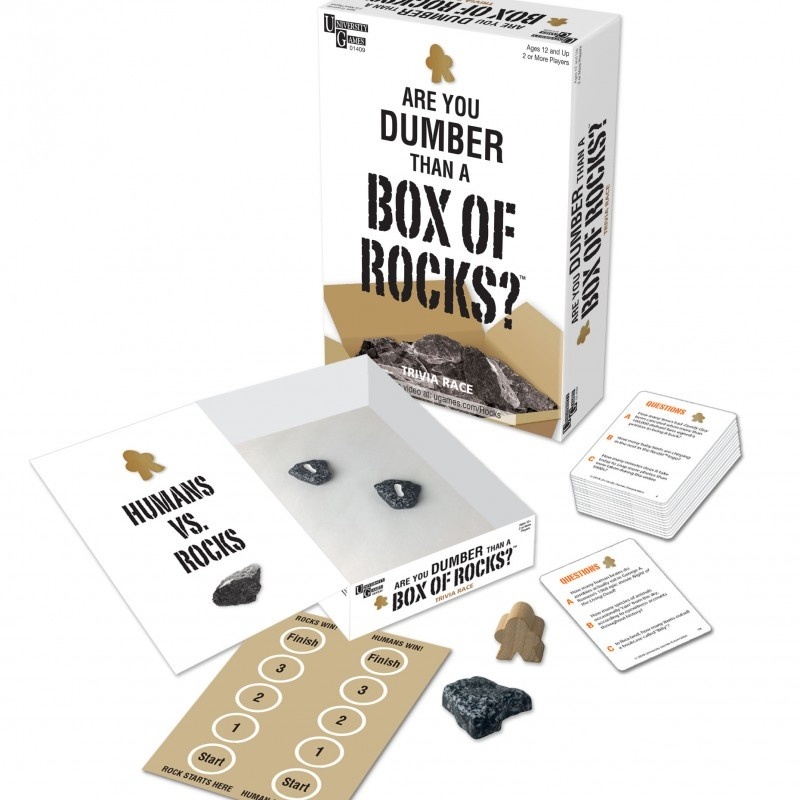 Are you Dumber than a Box of Rocks Trivia Game Are you Dumber than a Box of Rocks? Simply take a card, answer the question, shake the box and open the top. Who has the correct answer: you or the Rocks? Players pit their knowledge in a trivia quiz match against the Rocks where every answer is either 1, 2 or 0. Questions like ‘How many buttons does Mickey Mouse have on his trousers?’, ‘How many of the nine Osmond children were born deaf?’ and ‘How many more legs does a squid have than an octopus?’ will put your trivia knowledge to the test. Just answer three questions correctly before the Rocks do, to win the game and claim victory! This easy to learn, quick play game is for 12 years and over and perfect for parties as any number of players can play the hilarious Human v Rocks trivia game. Are you ready to take on the Rocks in this quick play, trivia game? Take the challenge and know shame!